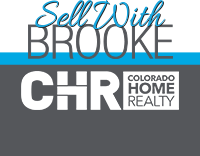 The perfect opportunity to create a home in Highlands Ranch! This multilevel home is priced for you to make improvements and add your own personal touches. Unfinished basement provides tons of potential to add a bedroom, recreation room, playroom or home office. Private backyard with mature trees. New roof and exterior paint in 2016. Close proximity to University and Colorado, shopping, schools and parks. Enjoy Highlands Ranch amenities including 2,000 acres of open space, 70 miles of paved and natural trails, over 20 parks, and access to four full-scale, state-of-the-art recreation centers. Home is being sold in as is condition. Professional Pictures uploaded by Friday, November 30th.